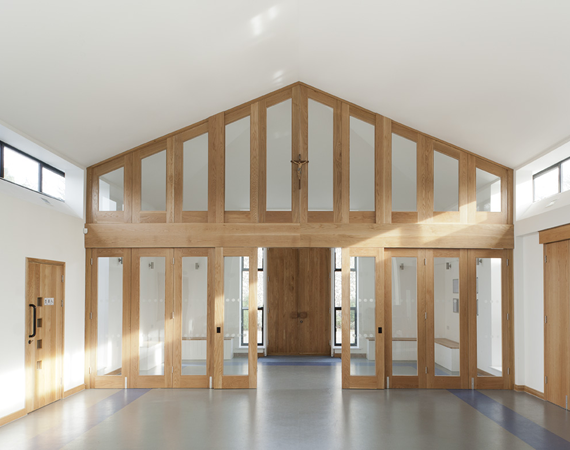 This project involved the design and build of a bespoke, new build church hall. The external elevations used materials to compliment the adjacent grade II listed church, designed by George Gilbert Scott. The new structure consisted of strip foundations with a steel frame cladded with blockwork, flint and cedar shingles. The roof construction was timber with clay roof tiles. The internal finishes were a mixture of modern and classical with the main features being the oak screens and doors. 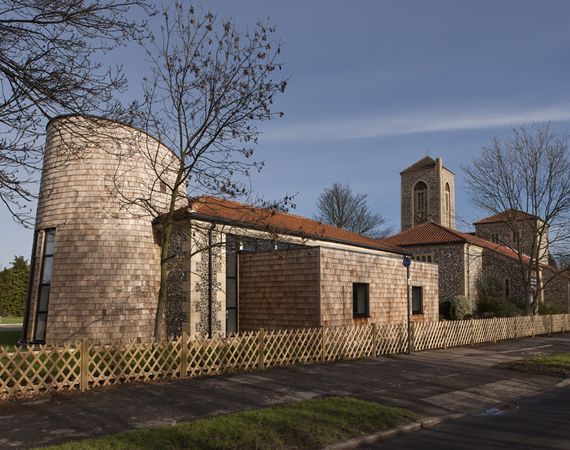 The result was a functional community building which was short listed for the 2013 RIBA Awards.